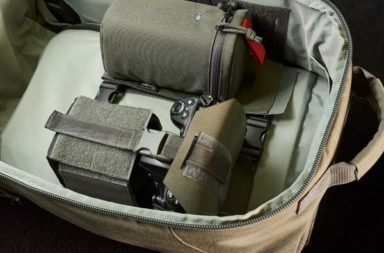 What is the one thing you always bring with you when spending more than one day in the great outdoors? A headlamp. 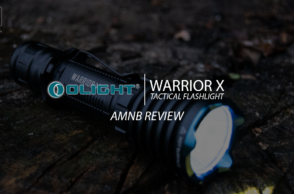 This time, we are proud to present a newest product review from one of the finest flashlight manufacturers out there. 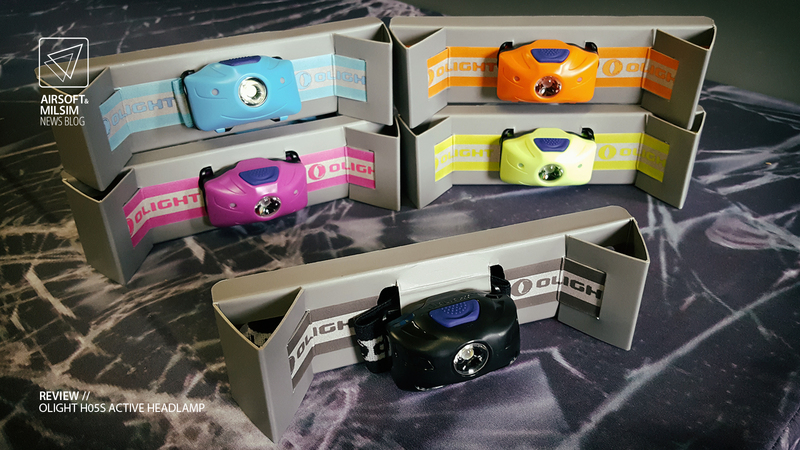 It’s the H05S Active by Olight. 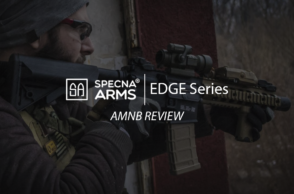 This review was made possible by an European dealer 365+ from Slovenia, which stocks all of their products and accessories. 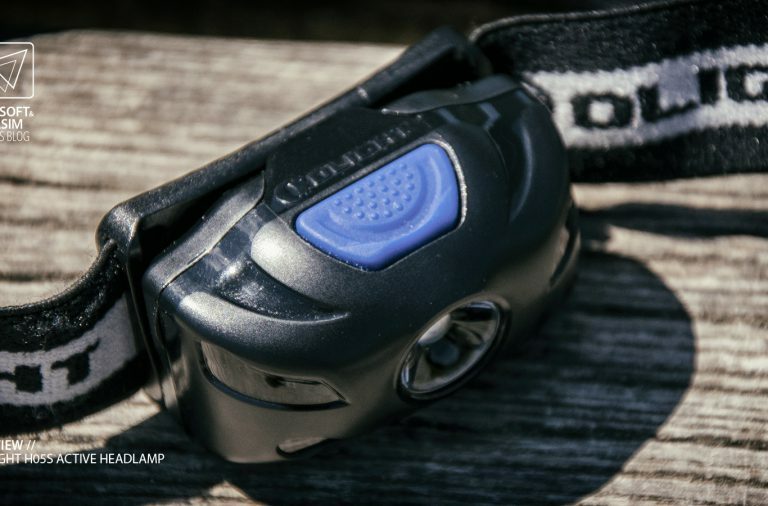 This product is the third of several new flashlights, that were introduced for summer 2016. 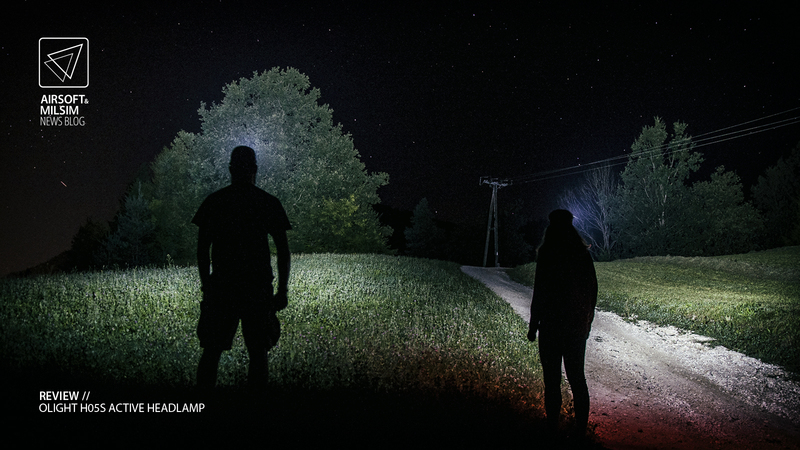 So, you’re in the market for a new headlamp. 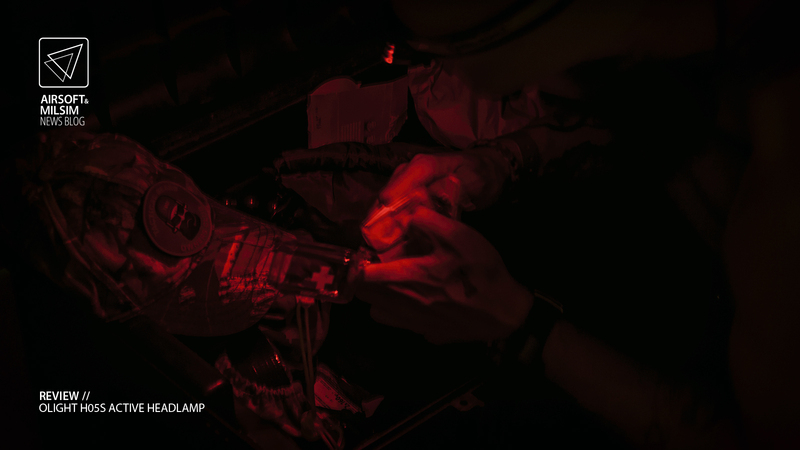 And you have your idea what this headlamp should be able to do. 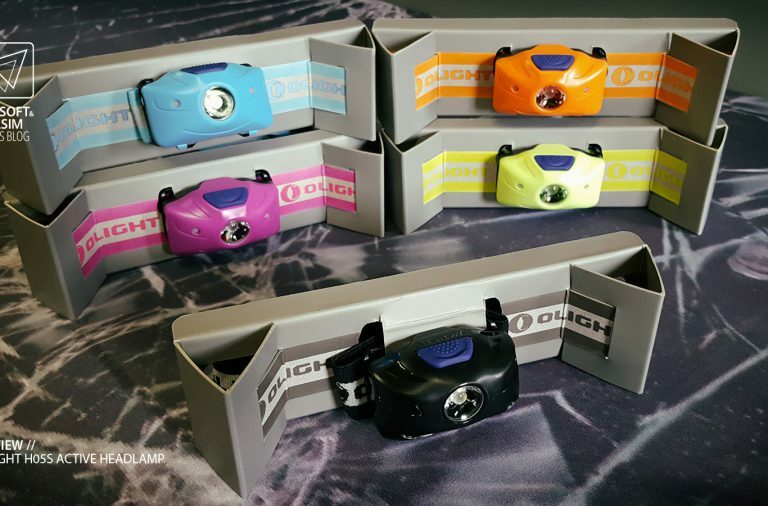 With the Olight’s H05S you don’t have to look further. With its lightweight build, low power consumption and several useful features, this just might be the best choice. Or is it? 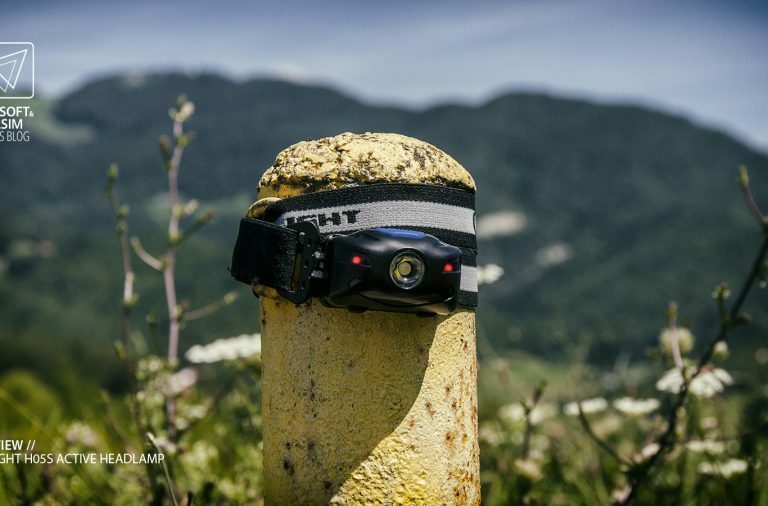 With the weight of 47 grams without batteries, this headlamp sits close to the top of the lightest headlamps on the market. You can stick it in your pocket or on your head and completely forget it’s even there. A great attribute when using it for long periods of time. It runs on two AAA batteries or two 10440 rechargable cells. Already off to a good start, since most of the competitors headlamps use three. When buying them in packs of four, this really is a pain. By the time you buy your third pack, you rarely know where the previous leftovers are. 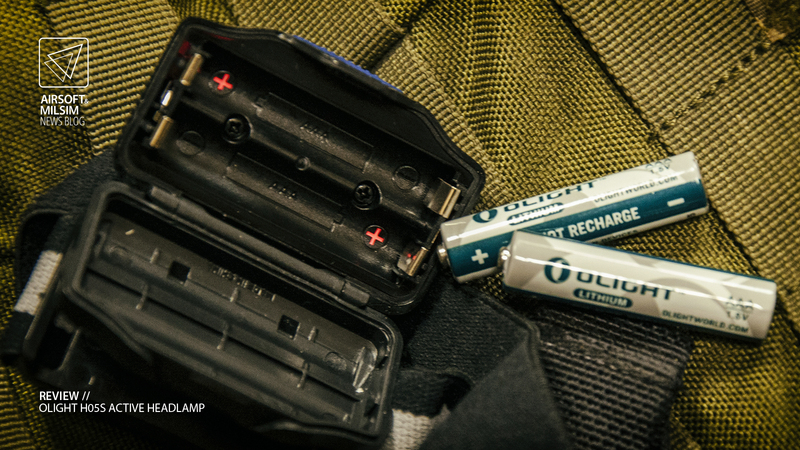 With the provided Lithium AAA batteries, its maximum power output is 200 Lumens and a 900 Cd peak beam intensity. 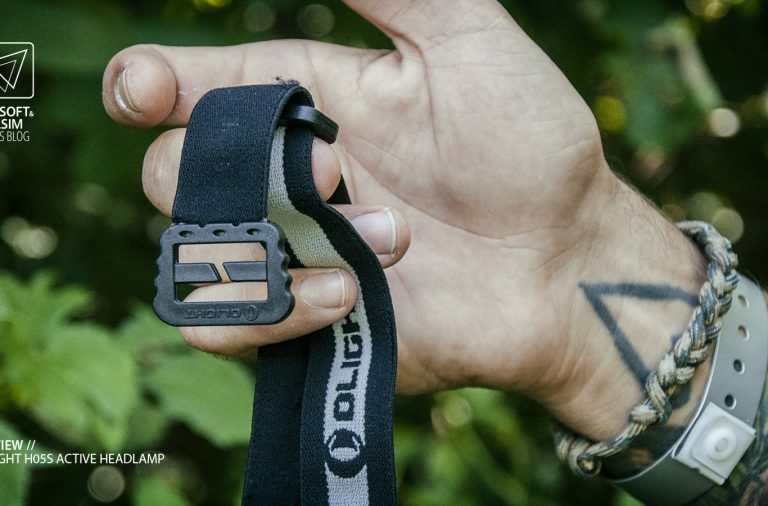 This is plenty for most activities which require a headlamp. 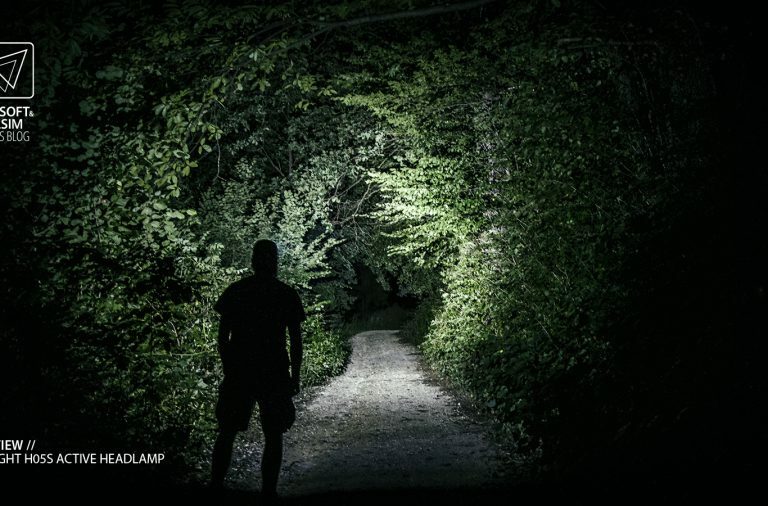 Orienteering, camping, hiking and also mountain biking, all could be done safely and with enough light. 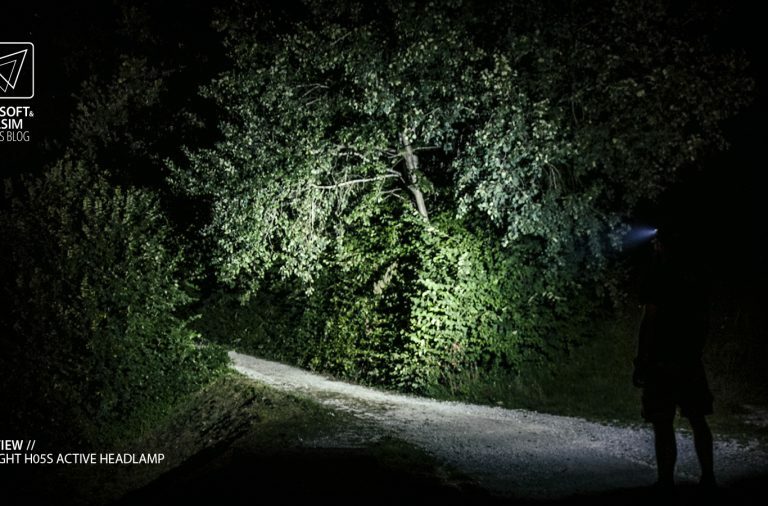 To be completely honest, for most of the times we used the second power output, which is 30 Lumens. 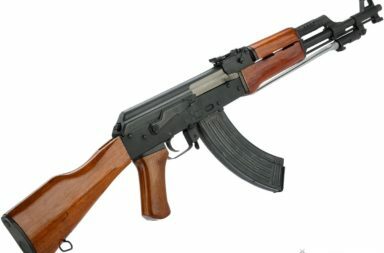 We only used the high power when riding our bikes in a wooded area. This one dries out the batteries quite quickly. 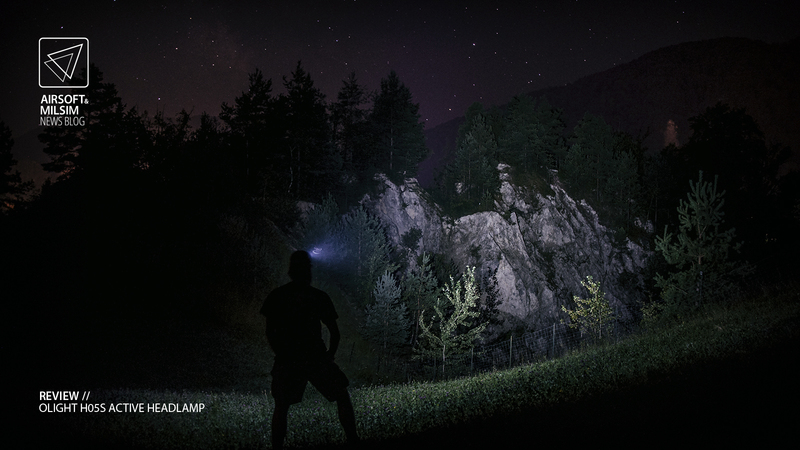 In 4 four hours, the headlamp gradually lowers the power to 120 Lumens and then turns off. 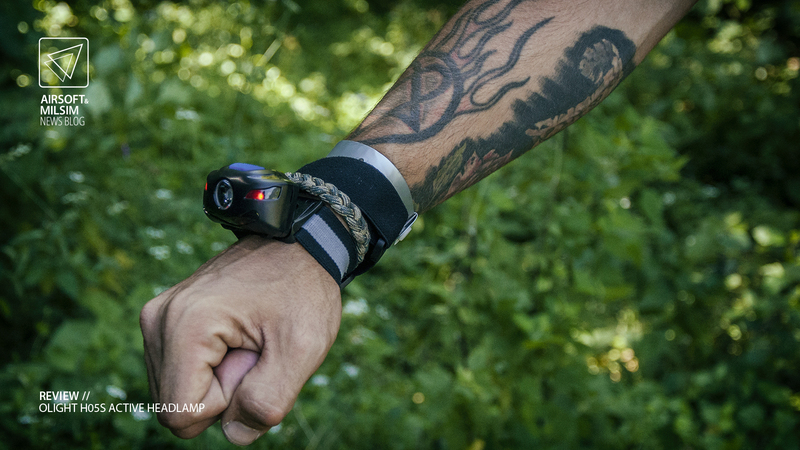 The second power setting will light your way for eight hours and a half. 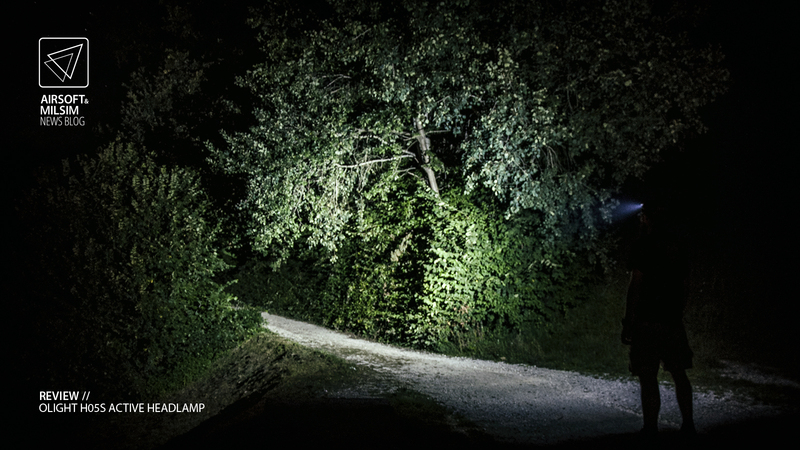 The lowest power setting is 10 Lumens, which is perfect for “around the camp” use or close proximity work. You can also read text on white paper and not get blinded by the light reflection. 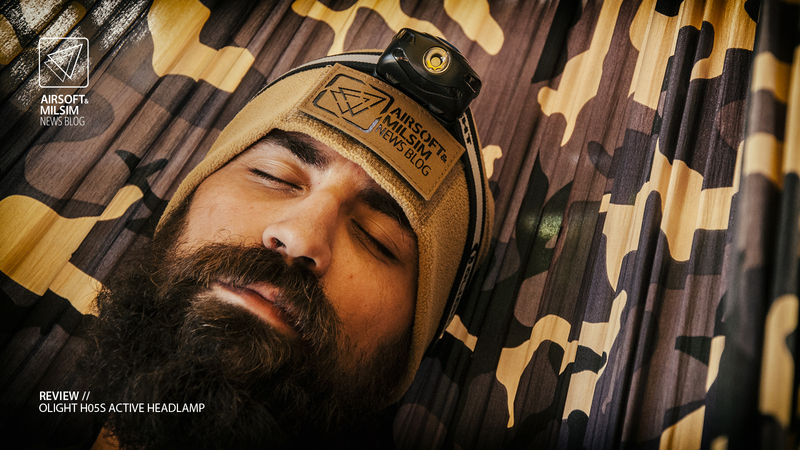 On this setting, the headlamp will continue to function for 24 hours. 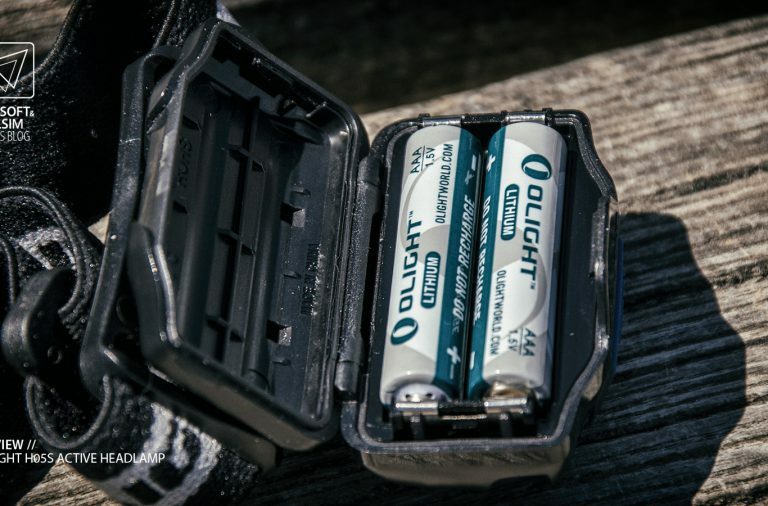 This of course depends on the quality of batteries you use, so keep that in mind. 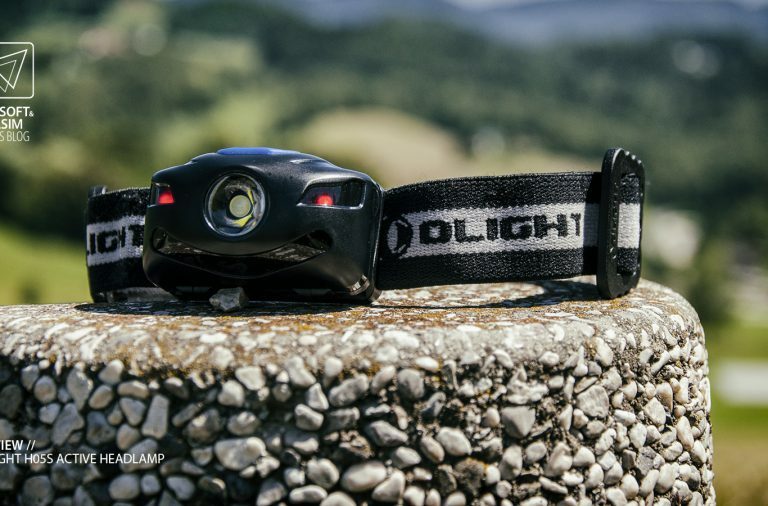 The LED chip in use is still the trusted XM-L2, which is complemented with the Olight TIR lens, to provide 60 meters of beam throw. The light is focused/dispersed perfectly, so there is no need for a diffusor. 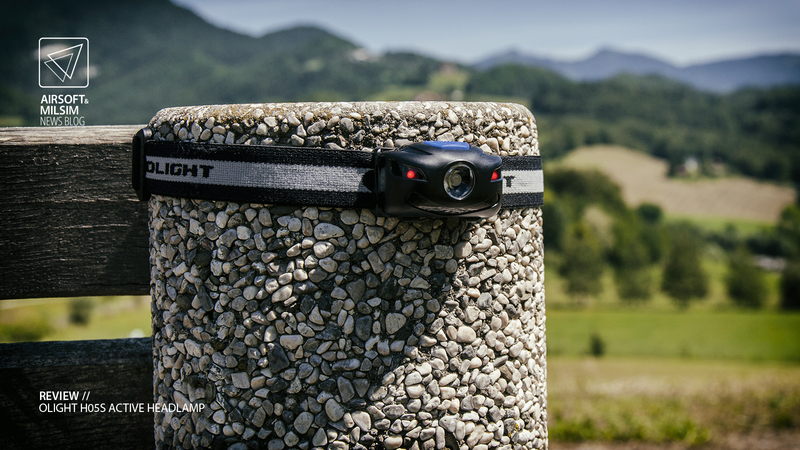 This is the first headlamp by Olight, which houses all of the components in one place. By this I mean the battery box. 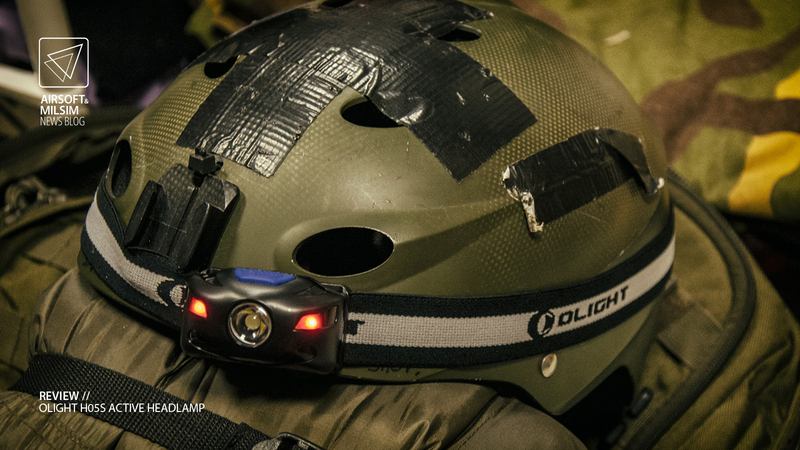 Their previous headlamps all had battery boxes situated on the back of the head strap. This allowed for more power, but also made the wearing of the headlamp a bit less comfortable in some situations. 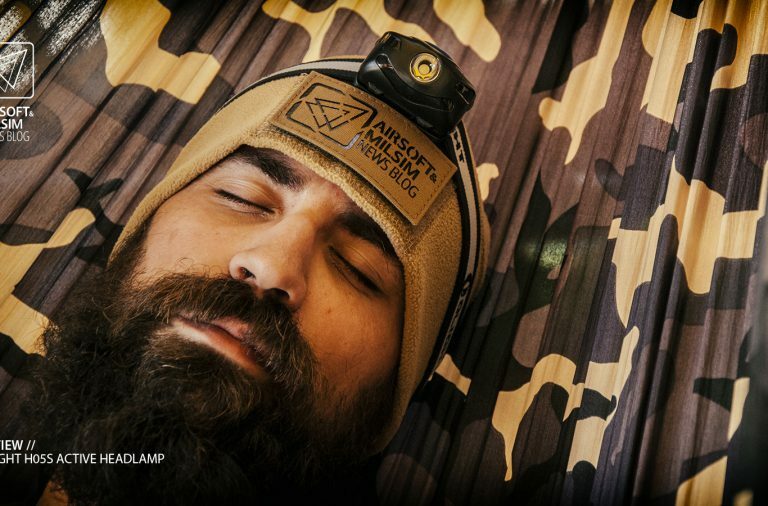 If you wanted to sleep with the headlamp mounted on your head, you had to turn the whole thing sideways to be able to lean your head back against some support. 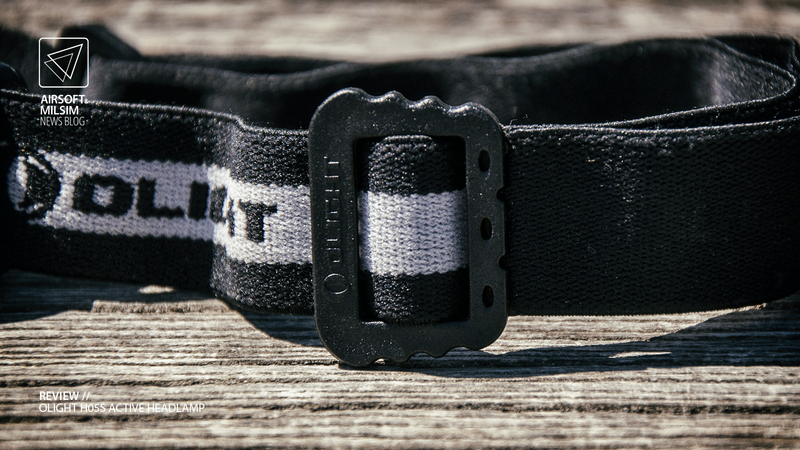 With this one, the strap in the back is free, thus making the wearing, storing and adjustment a lot more comfortable. 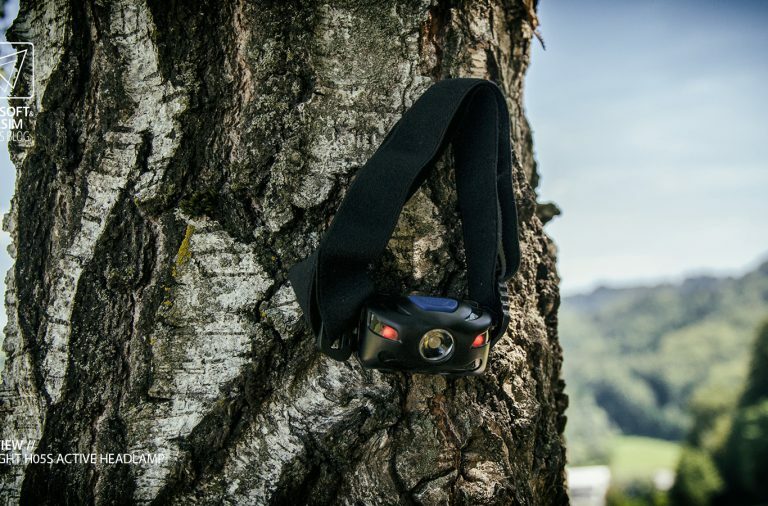 The headlamp is made out of durable plastic, following the ANSI/NEMA FL1-2009 standards. This means being impact resistant to drops from 1 meter and water resistant to IPX4. Water splashes from any direction and a quick accidental submersion should do no damage to it. 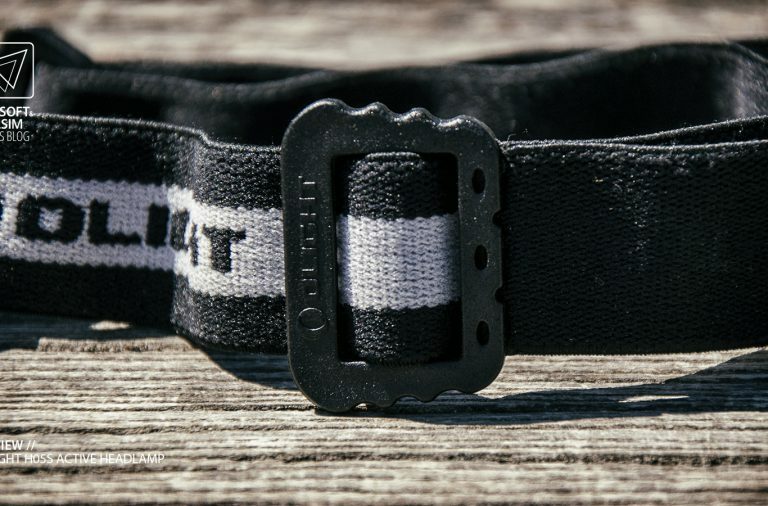 The strap is nice and soft with a widened adjustment tab for easy operation even with gloves. It also stretches quite a bit, so if the adjustment is set to your head, you could still pull it over a helmet quickly. It’s made of eco friendly 25 mm wide elastic, which does not irritate your skin when wearing for long periods of time. The attachment points have openings in them so the whole thing can be undone and eventually replaced by something else. 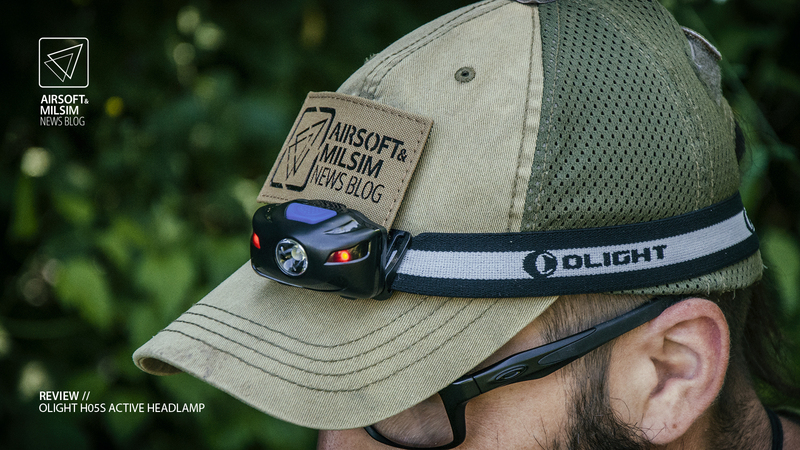 Like stated above, the headlamp features three brightness levels. 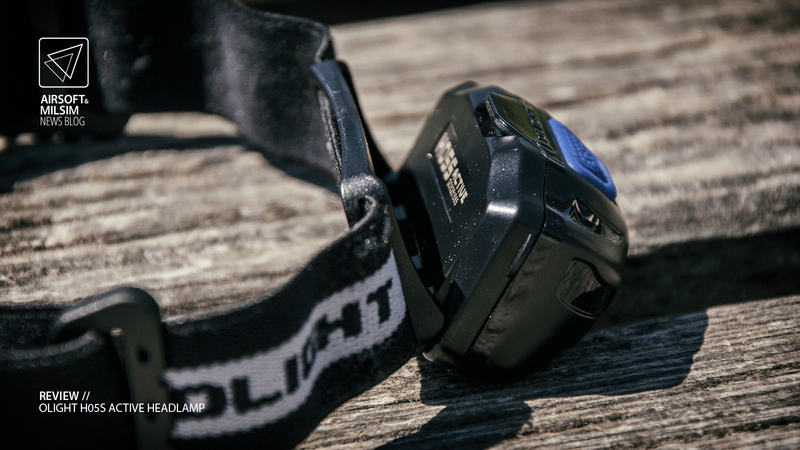 This is a minimum standard among all “fixed power” headlamps without a potentiometer. 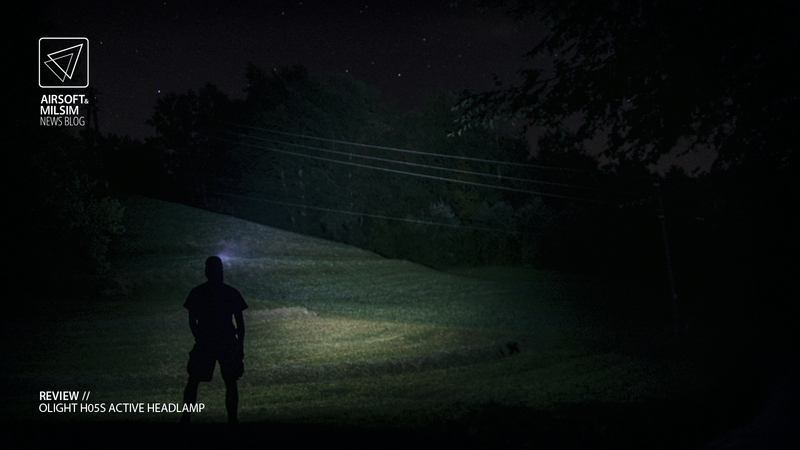 In this case, i’m happy to say this, because in my personal opinion, the headlamp suffers from a small design flaw. Let me explain. 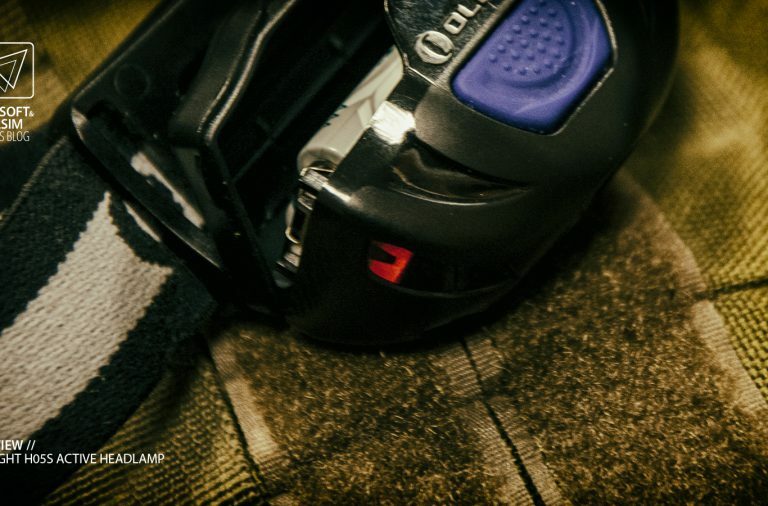 One of my personal favourite details with Olight flashlights has always been the switches. They are made as simple and easy as they can be, for the user to operate. 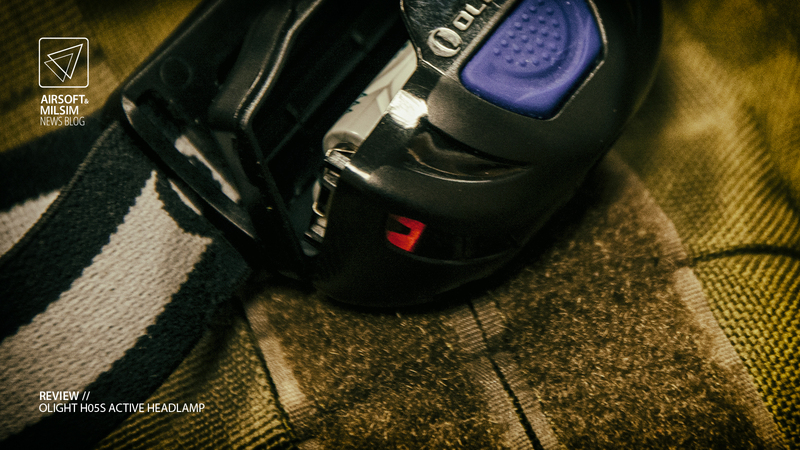 With power output memory, double-click and hold functions they always packed the most functions in one single button. 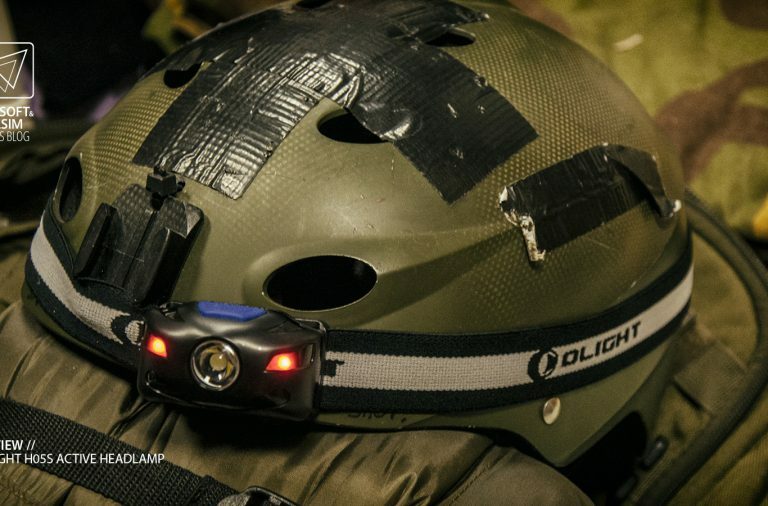 With this headlamp, they must have tried to cut some of the production cost, to keep the retail price low. 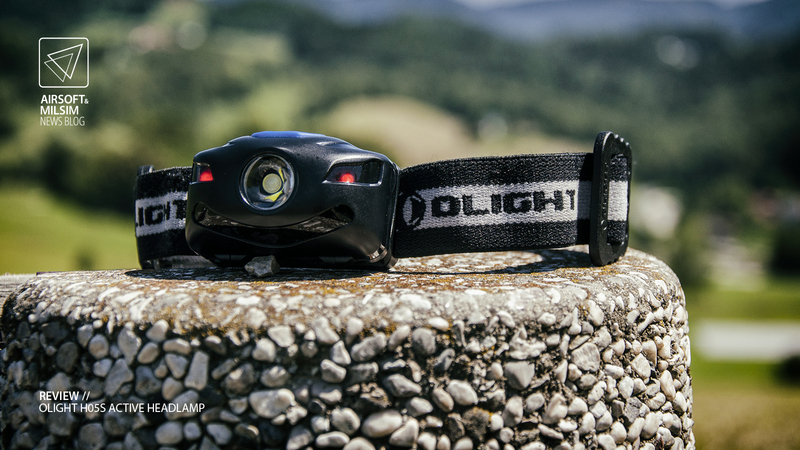 Yes, you can still operate the headlamp with one single button and with it, access all of it’s features. The problem is, there is no power output memory. 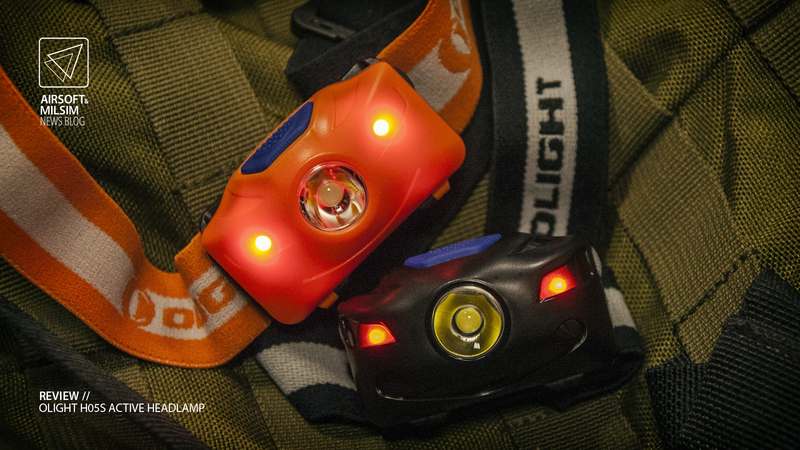 Every time you turn ON the headlamp, it will start with full power. And after that, you cycle down through the brightness levels to turn it OFF. 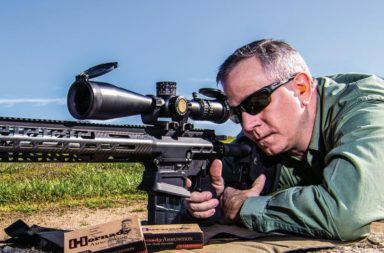 This is good for emergency use, but everything else is a nuisance. 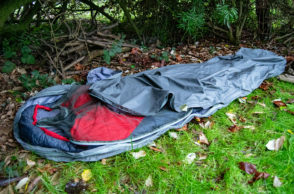 Imagine waking up in the middle of the night to go to the latrine. 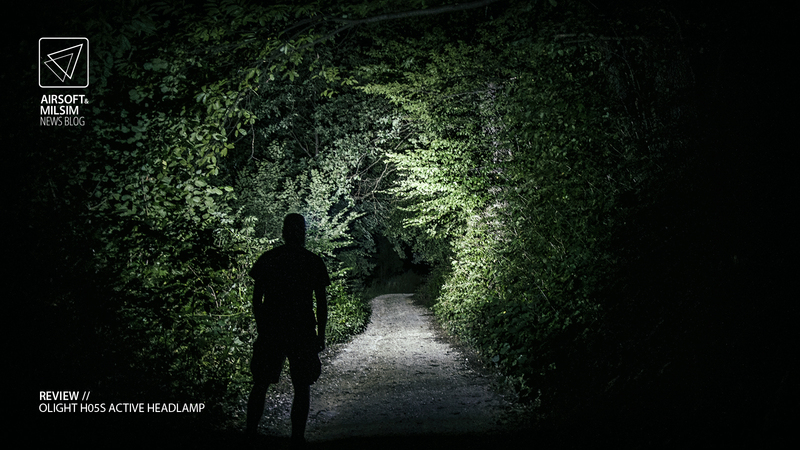 Upon switching on your headlamp, you are greeted with 200 Lumens of bright white light and so is the rest of your group. This takes some time of getting used to, as you need to cover the lens while you cycle down to low power. This could easily be fixed by using circuitry from any of the smaller S models, which would also add a “moonlight” power setting. But like i said, this could potentially raise the final price of the product. 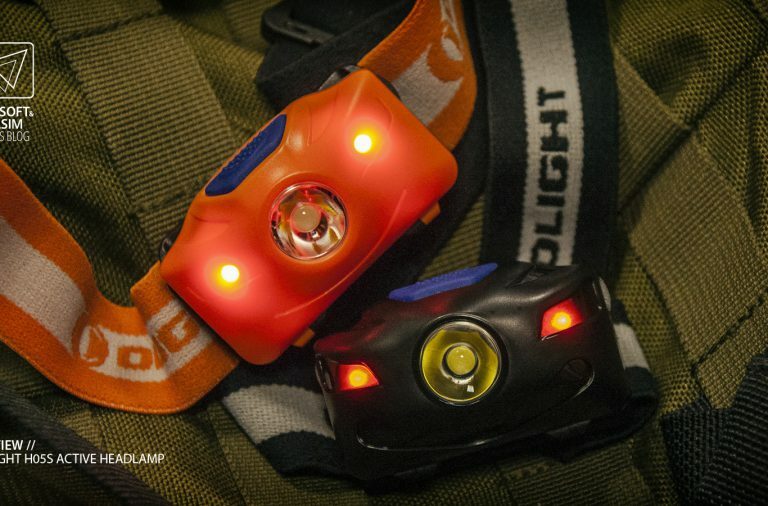 The headlamp also features two red LEDs. One on each side of the main lens. These are meant to serve as indicators of users location. They can be set up to constantly shine, or blinking. 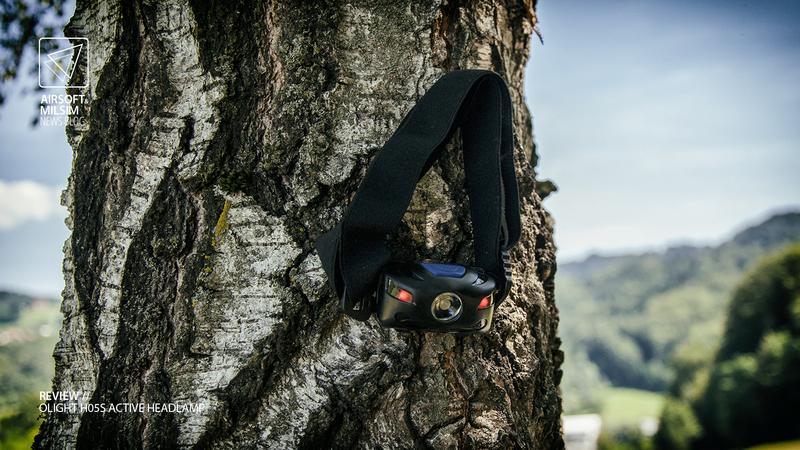 You can access this function by double clicking the power button when the headlamp is ON. 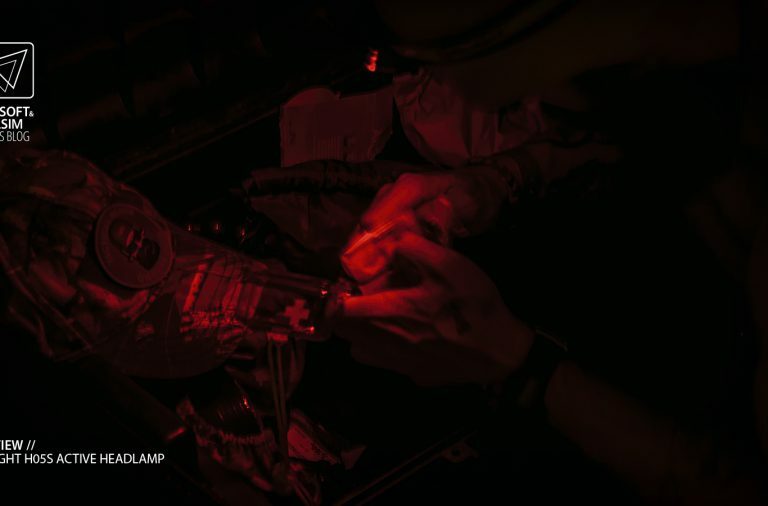 Usually these red LEDs serve as “night-vision” preserving illumination, but in this case, they are a bit on the weak side. 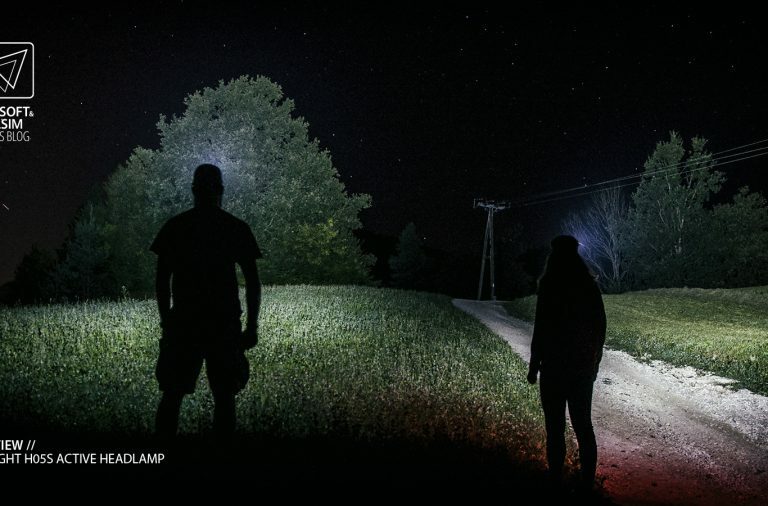 You can use them as a navigational light during complete darkness, but are difficult to use when trying to read a map. Maybe it’s just because of the tinted protective plastic that’s covering them. 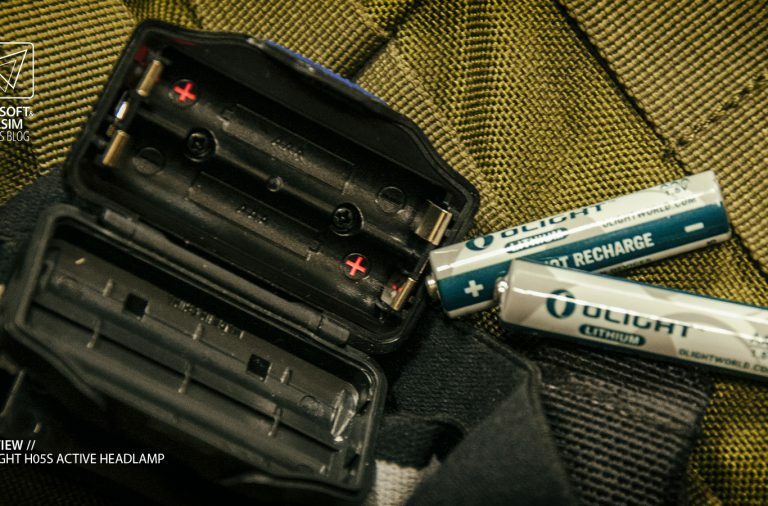 Olight could eventually just swap the plastic with a clear one and make these more usable. 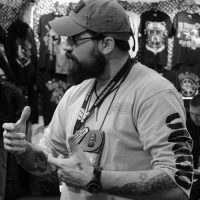 The last feature i want to talk about is a special one. 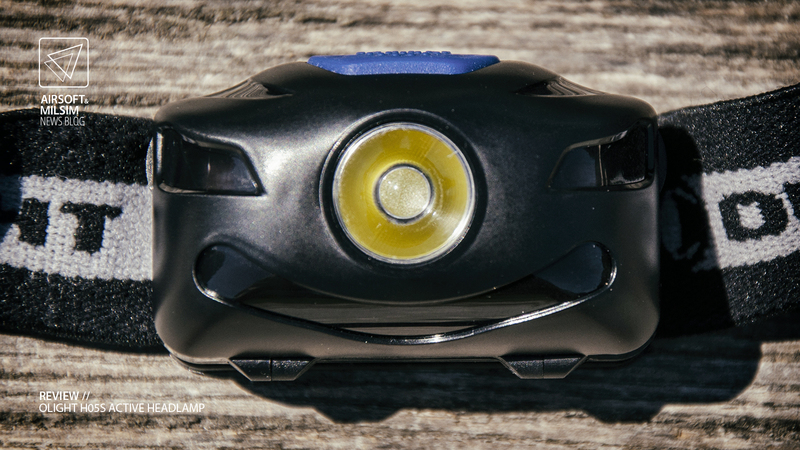 This one has been present in all but one Olight headlamps to this date. 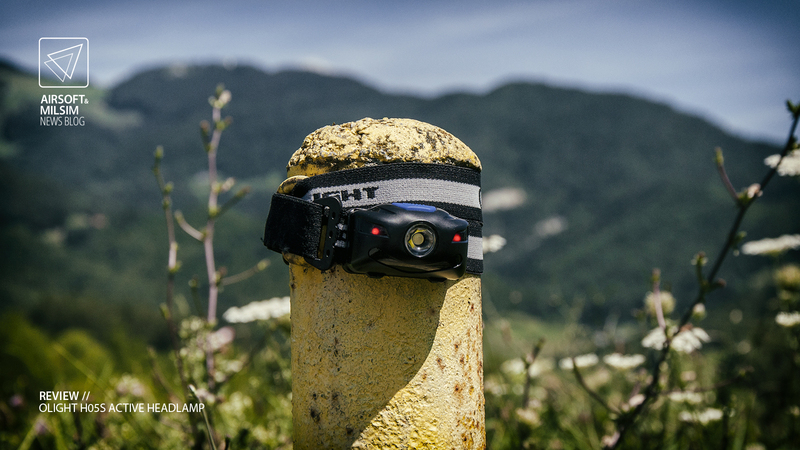 It’s the built-in IR sensor, which allows you to operate the headlamp without touching it. 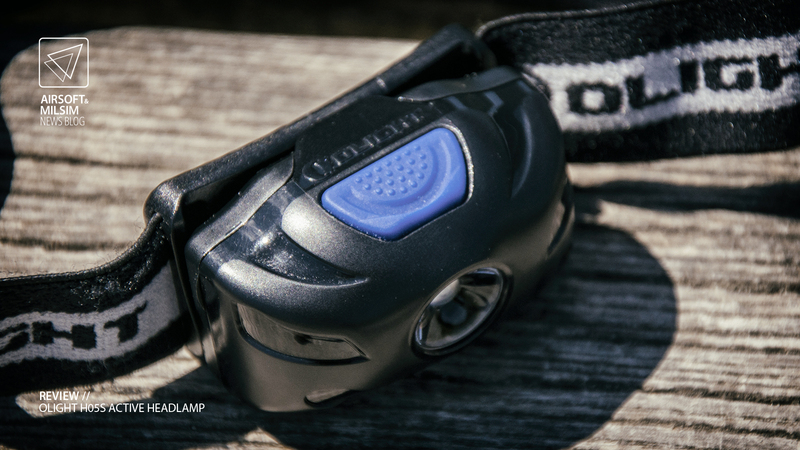 Turn on this function by holding down the power button while the headlamp is ON. Then just wave in front of the lens to turn it off. Wave again to turn it back on. This comes in handy when your hands are dirty or you are carrying something. 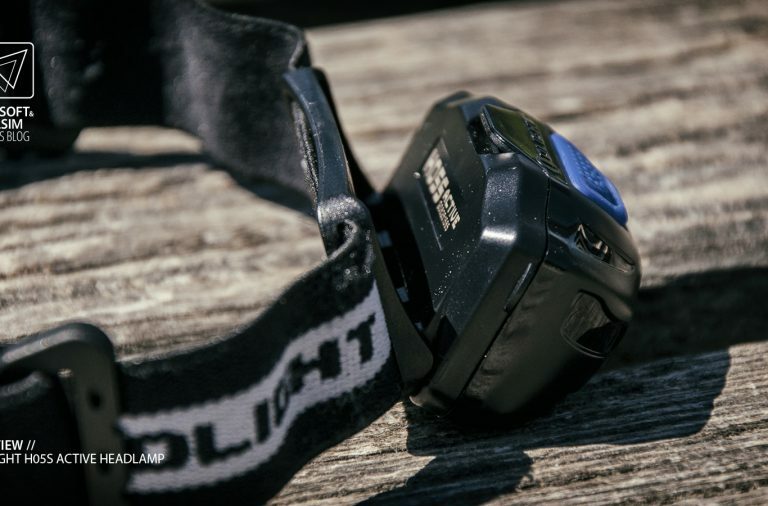 In this mode, the headlamp stores the set power setting and keeps it, until you manually switch it with the power button. 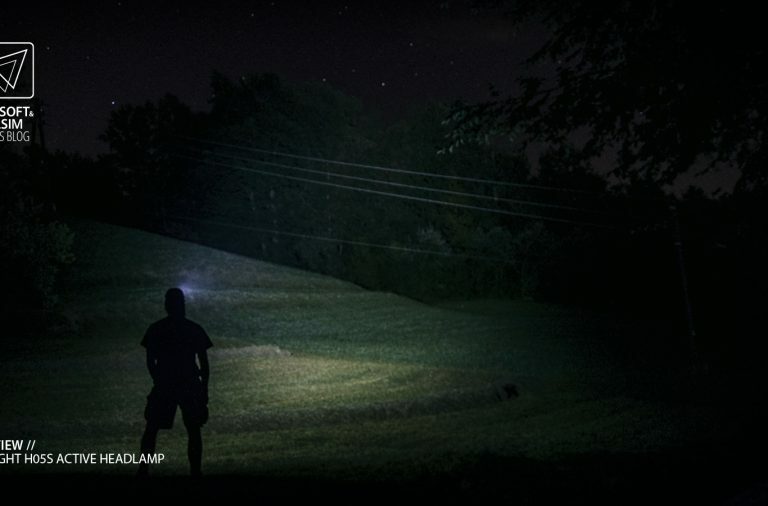 This leads me to think, that the headlamp only goes in stand-by mode, when turned off with a wave. While in this mode it drains power slowly and if you’re not careful, it could eventually run your batteries dry. It will however, notify you when the battery voltage is below 1.8V with a dim glow at the bottom of the head of the lamp. This will definitely catch your attention, as it will glow on your nose. It also has a “malfunction” indicator on the sides, with which it indicates anomalies like reverse polarity and open battery compartment. If there’s something wrong, it will show you. One of the nicest details, is definitely the polarity indicator. 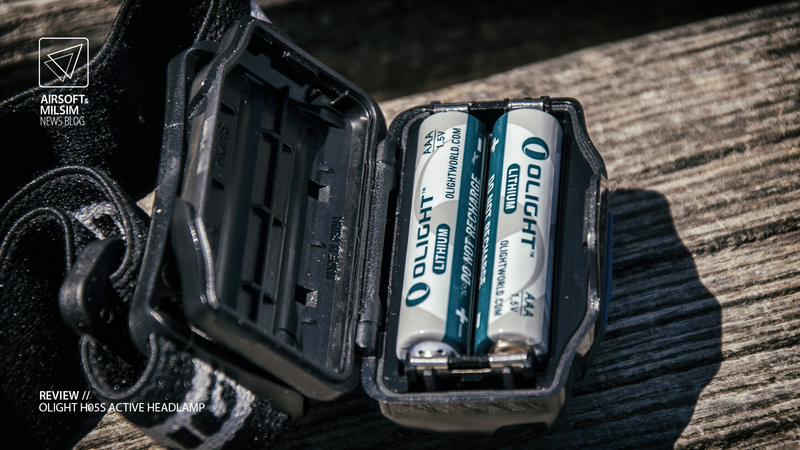 Even with the batteries removed, the headlamp stores power and shines two small + signs. With these, you can be sure, you’ll always insert the batteries correctly. 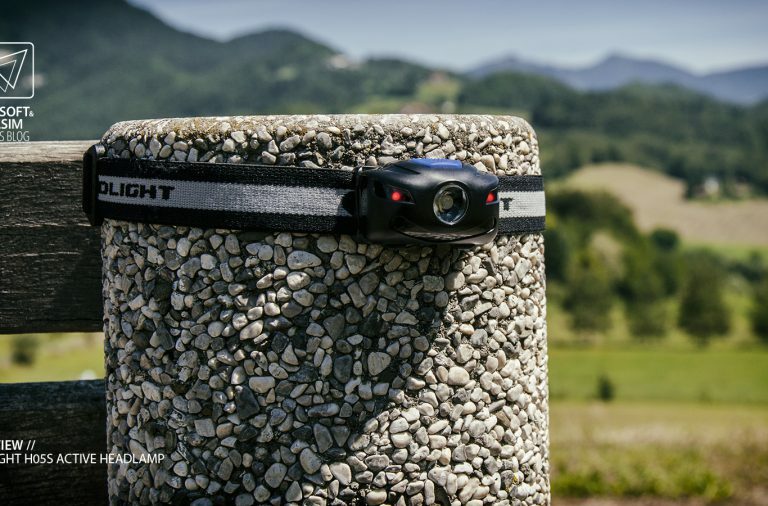 The head of the headlamp has a 50 degree swing angle, adjustable by four steps, so you can point your light directly where needed. 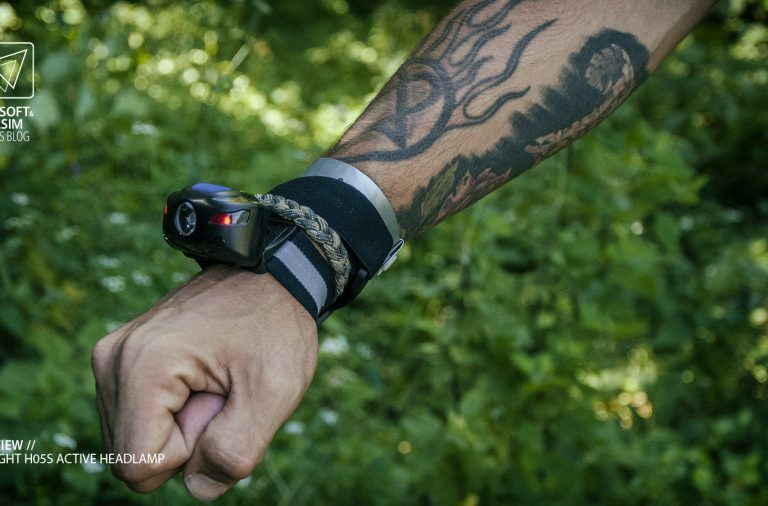 These “steps” are solid enough to keep light pointed in the right direction even while running, jumping or riding your bike over rough terrain. 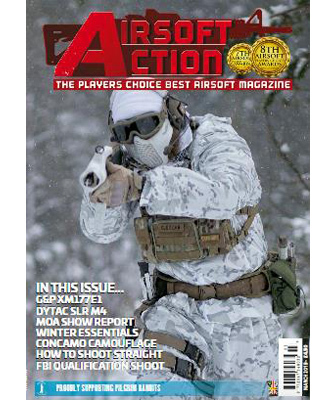 There is also a H05 Active version available, which comes in four different colours. Green, orange, purple and blue. Same single button operation with one main and two red LEDs. 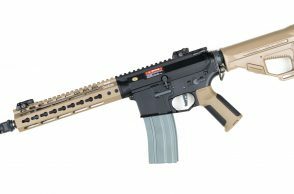 It packs a bit less punch though, with 150 Lumens of maximum output and does not feature an IR wave sensor, but is therefore less expensive. It also lacks the malfunction indicators. 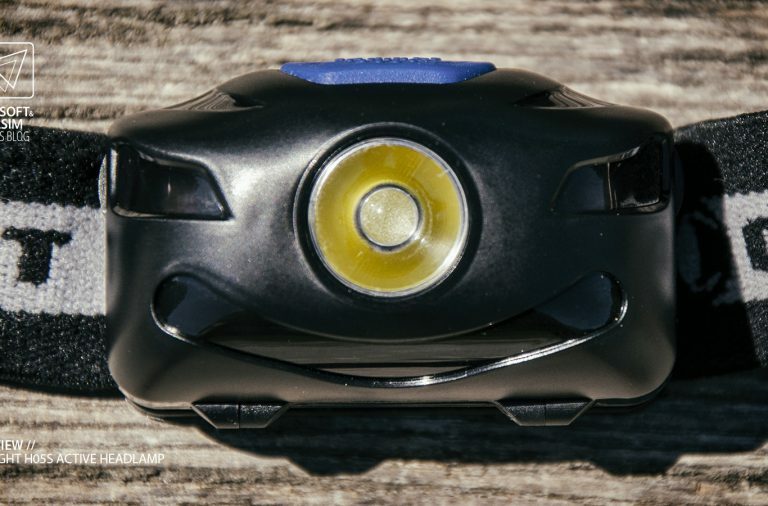 This makes this model of said headlamp even lighter, weighing in at just 25 grams without batteries. So there you have it. 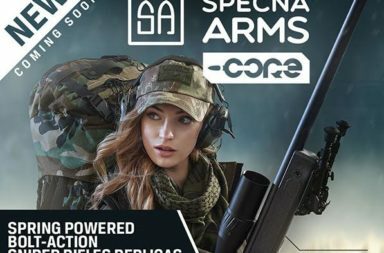 Some detailed information on this specific piece of equipment. 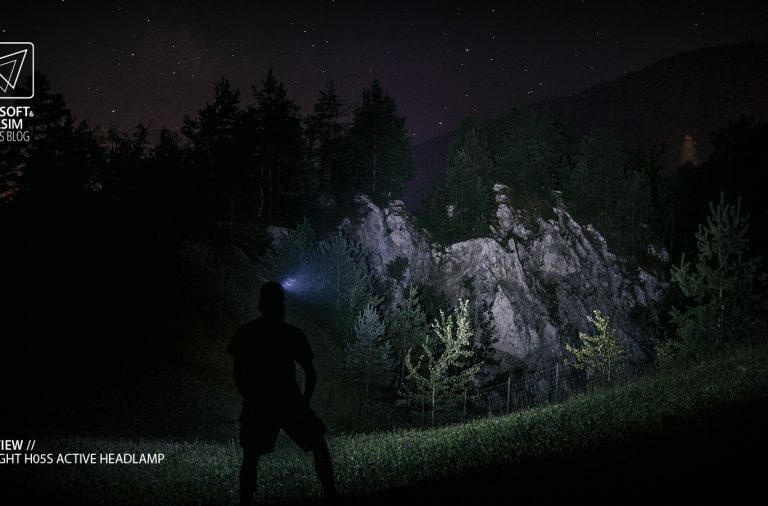 These are just some of the features and details every serious outdoors enthusiast wants to know when buying a new headlamp. It is, in fact very difficult to summarise these into a solid conclusion, as different users prefer different things/functions. 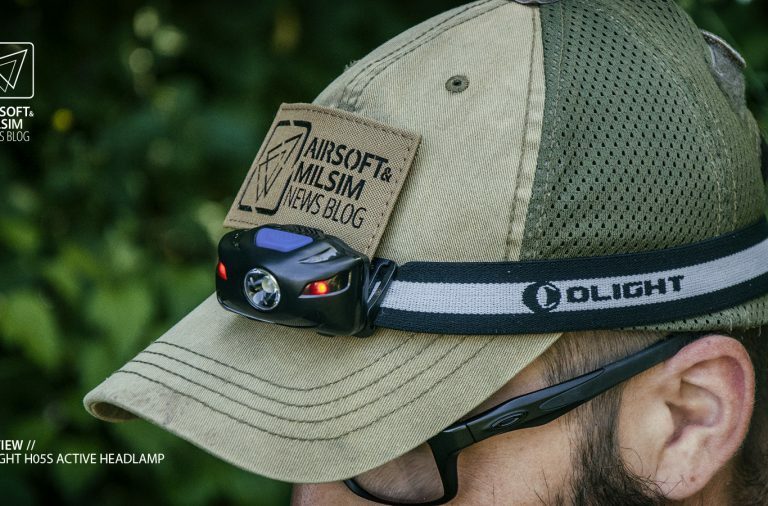 All in all, this is a great headlamp, which deserves a serious mention in it’s respected field. With some details polished, it could just as well be the best. 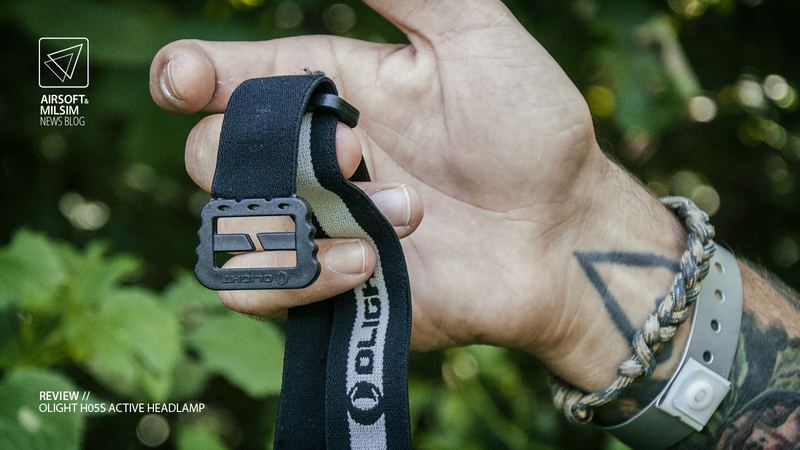 Premium grade build quality ensures that this headlamp will continue to work as long as you feed it it’s batteries. The price is similar to most of the contenders out there, so now you just need to find out what suits you best. 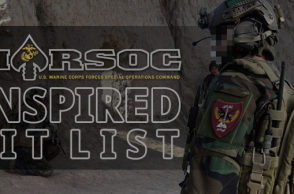 Also be sure to check out the 365+ website, where you can find all of the other great Olight products as well as other military/police/security solutions.